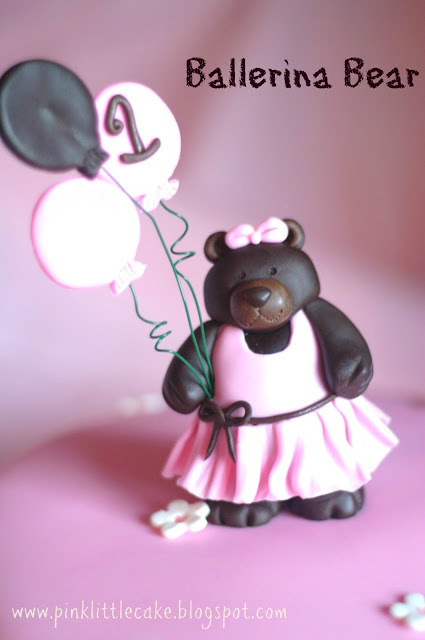 I made this cake for a 1st Birthday party. 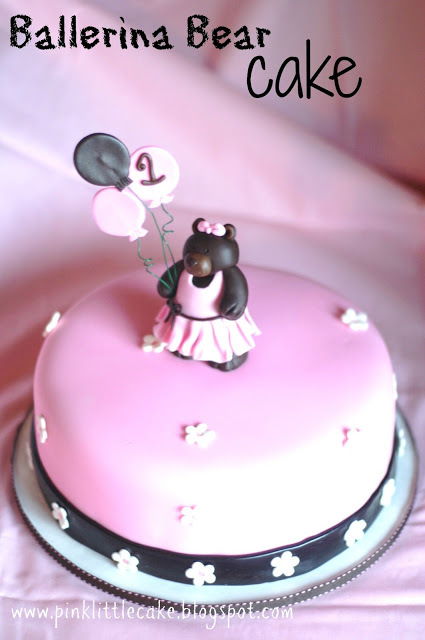 The birthday girl was wearing a pink and brown tutu and her mom wanted a cake to match the theme and colors of the party. 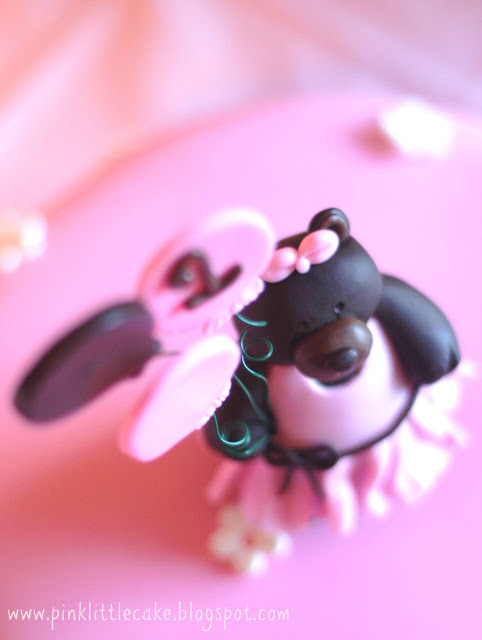 Little ballerina bear is handmade in sugar.